I remember watching Miss America when I was little. I always wanted Miss Ohio to win. She never did. I haven't watched it in years. Really had no interest at all. It's all because of Sierra Sandison, Miss Idaho. And her insulin pump! I was immediately captivated by her story. How she was unsure about wearing an insulin pump on stage. Unsure about putting her disease out there, front and center. Unsure how people would react. Unsure if it would make her less beautiful. But she wore it. And she rocked it. And she has since encouraged others to #showmeyourpump. We had the opportunity to talk to Sierra shortly after her crowning as Miss Idaho. You can read Sweet's interview with her here. They talk about diabetes, fashion, and everything in between. And it was then that we realized that Sierra is as nice and kind as she is beautiful. I love her platform that what makes you unique makes you beautiful. So tonight, as I type this, I'm watching the Miss America pageant. For the first time in years. Because Sierra had the courage to show her pump. But me watching isn't the story here. Not at all. Because as cool as I think this is... there's someone who thinks it's even more spectacular. Tonight happened to be one of those nights when her pod change and Dexcom change fell on the same night. She's been emotional all day. It's probably because she's tired. Because of all the lows. Because she got her palette expander last week and her mouth is sore and she hasn't been able to eat much of anything. Because her basal rates are obviously off. Anyway, she's been in tears. And having two site changes just pushed her over the edge. Until she saw Sierra and her pump on the Miss America stage. And all that other stuff just fell away as she sat captivated. As I was inserting her Dexcom into her arm and inserting her Omnipod into her tush, it hit me again how important it is for her to see someone like her going for her dreams. Here is my little girl wearing an insulin pump on her body and a cgm on her arm. Even with the improvements in modern technology and devices getting smaller and smaller, they're still there. She's still wearing something that sets her apart and makes her different. Something that still raises questions and elicits stares. That can be hard for anyone. But especially a little girl. A little girl who is not only trying to figure out this whole growing up thing but doing it with a disease that's never going away. A disease that demands attention 24/7/365. A disease that makes her different. So seeing an insulin pump attached to a swimsuit on the Miss America stage... that's big. It shows her that she doesn't have to be embarrassed. She doesn't have to hide it. She doesn't have to feel ashamed. She doesn't have to feel alone. Thank you, Sierra. Thank you for speaking out for people with diabetes everywhere. For educating about type 1 diabetes. For having the courage to #showmeyourpump. For redefining typical beauty standards. And for showing my little girl that she can do anything she sets her mind to. And that she is beautiful no matter what. Amen. I never thought I would actually encourage my daughter to watch a beauty pageant with me. I never thought they stood for anything I wanted her to stand for. Until last night. 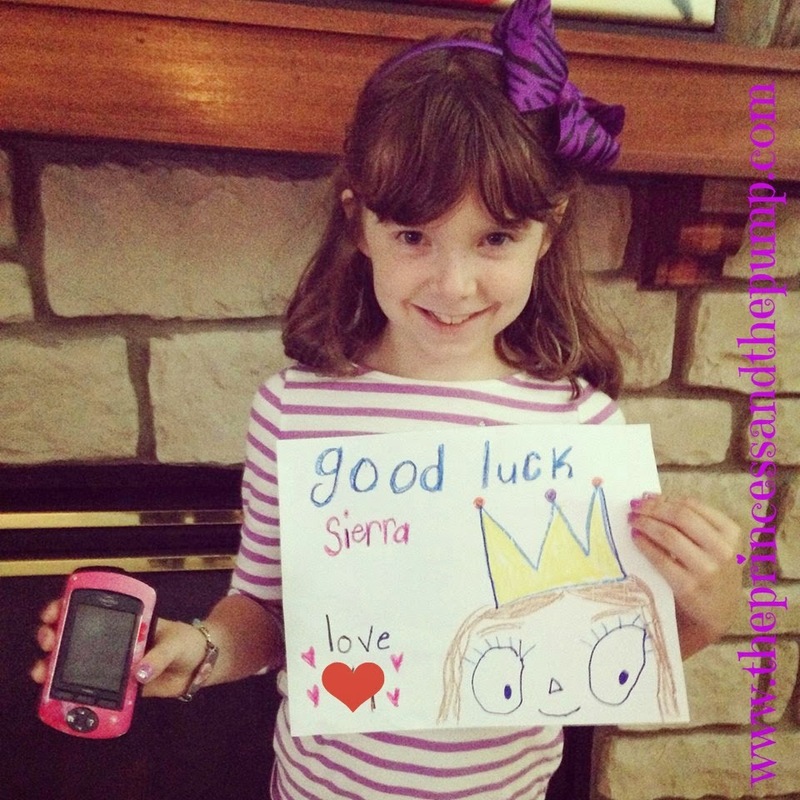 I had tears streaming down my face when I watched my 12-year-old Type 1 jump up and cheer when she saw Sierra win fan favorite. I'm so grateful for her courage! thanks for the sharing. It is greater than the name! FINALLY a beauty pageant that I wanted to watch too! YAY for beautiful insulin pumps! !